Credit: it’s me neosiam from Pexels. ROME, Apr 5 2019 – Paris, Milan, New York, Tokyo… These are just some of the world’s most prestigious fashion catwalks. There, and elsewhere, perfectly – and often unrealistically – silhouetted young women and men graciously parade to impress elite guests and TV watchers with surprising, fabulous creativity of the most renowned fashion designers and dressmakers. 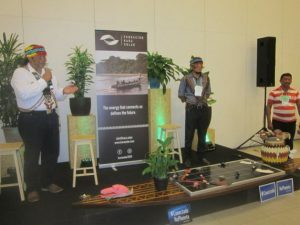 … Yet, regardless of the amazing costs of such shows – and of what you may wonder how eccentric can be some of the displayed clothing – there is a hidden cost that Mother Nature pays (and which is not included in the price tag). Let’s start with the case of innocent blue jeans: it takes around 7,500 litres (some 2,000 gallons) of water to make just one single pair! Know what this means? It is equivalent to the amount of water the average person drinks over a period of seven years. That’s just one of the many startling facts that emerge from recent environmental research, which show that the cost of staying fashionable is a lot more than just the price tag, according to UN News, which on 25 March 2019 ringed this alarm bell about the immense environmental cost of staying fashionable. “When we think of industries that are having a harmful effect on the environment, manufacturing, energy, transport and even food production might come to mind. But the fashion industry is considered by the UN Conference on Trade and Development UNCTAD, to be the second most polluting industry in the world”. In fact, according to UNCTAD, some 93 billion cubic metres of water – enough to meet the needs of five million people – is used by the fashion industry annually, and around half a million tons of micro-fibre, which is the equivalent of 3 million barrels of oil, is now being dumped into the ocean every year. As for carbon emissions, the industry is responsible for more than all international flights and maritime shipping combined. 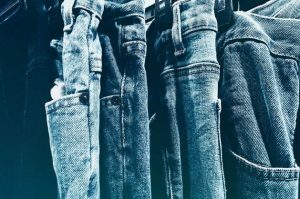 “The dominant business model in the sector is that of ‘fast fashion’, whereby consumers are offered constantly changing collections at low prices, and encouraged to frequently buy and discard clothes”, the UN specialised body further explains. And it warns that many experts, including the UN, believe the trend is responsible for “a plethora of negative social, economic and environmental impacts and, with clothing production doubling between 2000 and 2014, it is crucially important to ensure that clothes are produced as ethically and sustainably as possible”. For its part, one of the top world bodies in charge of environmental issues UN Environment provides more conservative figures. It says that considering cotton production, manufacture, transport and washing, it takes 3,781 litres of water to make one pair of jeans. Furthermore, “the process equates to around 33.4 kilograms of carbon equivalent emitted, like driving 111 kilometres or watching 246 hours of TV on a big screen”. clothing production doubled between 2000 and 2014. Even just washing our clothes releases plastic microfibres and other pollutants into the environment, contaminating our oceans and drinking water, UN Environment warns and adds that around 20% of global industrial water pollution is from dyeing and textile treatment. Please also know that some studies estimate that the average garment is worn ten times before being discarded. And that demand for clothing is projected to rise two per cent a year – but the number of times we wear them has dropped one third compared to the early 2000s. 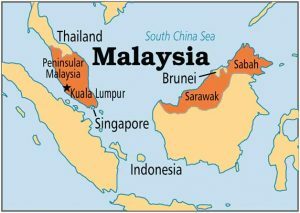 Well, the world specialised body goes further to inform that this waste costs money and the value of natural resources. “Of the total fibre input used for clothing, 87 per cent is incinerated or sent to landfill. Overall, one garbage truck of textiles is landfilled or incinerated every second“. 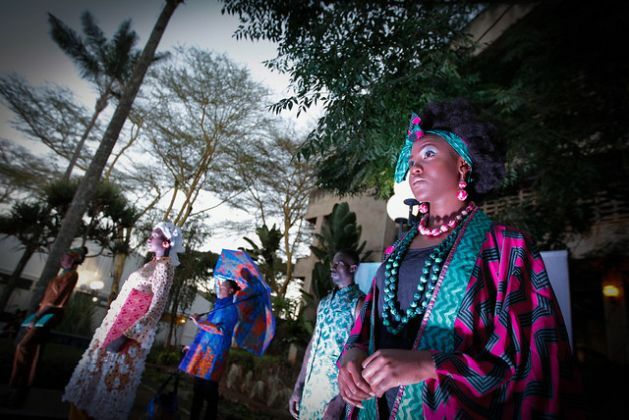 The issue is so alarming that it has pushed 10 different UN organisations to join forces through an Alliance for Sustainable Fashion, which was launched on March 2019 in Nairobi during the 2019 UN Environment Assembly. Elisa Tonda, Head of the Consumption and Production Unit at the UN Environment , one of the 10 UN bodies involved in the Alliance, explained the urgency behind its formation: “The global production of clothing and footwear generates 8% of the world’s greenhouse gas emissions and, with manufacturing concentrated in Asia, the industry is mainly reliant on hard coal and natural gas to generate electricity and heat. If we carry on with a business-as-usual approach, the greenhouse gas emissions from the industry are expected to rise by almost 50% by 2030”. The UN Alliance for Sustainable Fashion seeks “to halt the environmentally and socially destructive practices of fashion”. No wonder: “The industry is the second-biggest consumer of water, generating around 20 percent of the world’s wastewater and releasing half a million tons of synthetic microfibers into the ocean annually”, UN Environment reports. And it reminds that: “Fashion today is about obsession with outward image and appearance. Rarely do we as consumers consider what’s on the inside: the hundreds of thousands of fibres that make up our clothing which have led to an estimated 1.4 million trillion plastic fibres in the ocean”. Now last but not least: according to UN cited estimates: “The fashion industry wields considerable power. It is worth 1.3 trillion US dollars, employing around 300 million people along the value chain”. Now that we know, who would dare to pull this giant cat out of the bag? Baher Kamal is Director and Editor of Human Wrongs Watch, where this article was originally published. Is Republic of China Still a Permanent Member of the Security Council – Despite its Ouster in 1971? 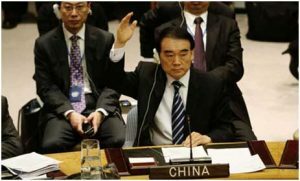 UNITED NATIONS, Apr 5 2019 – The Republic of China (Taiwan) withdrew from the United Nations in protest when it was ousted from its highly-prized permanent seat in the UN Security Council (UNSC) about 48 years ago. But according to the UN charter, it still remains one of the five permanent members of the most powerful body in the Organisation—perhaps much to the delight of the Taiwanese. The resolution that was adopted by the UN General Assembly (UNGA) back in October 1971 declared the People’s Republic of China (PRC) as the legitimate representative of mainland China paving the way for the immediate takeover of the seat from Taiwan. Although the Charter has been amended five times—described as a laborious process requiring a two-thirds majority in the 193-member General Assembly— there has been no serious attempts to rectify the UNSC anomaly. And a second shortcoming in the UN charter is the listing of the Union of Soviet Socialist Republics (USSR) as a permanent member of the Security Council, when it ceased to exist back in 1991, with the Russian Federation assuming the rights and obligations as a successor state. The five permanent members (P5s) of the UNSC are the US, France, China, UK and the Russian Federation. But the Charter, which looks like a relic of a bygone era, begs to differ. The PRC, which is politically sensitive to the issue of Taiwan –which it considers a province of mainland China– has been openly critical of the use of the name “Taiwan” at UN gatherings. At a meeting of the UN Committee on Non-Governmental Organizations (NGOs) last January, the Chinese delegate reprimanded several NGOs, including Human Rights Watch, International Press Institute, Open Society and Reporters Sans Frontiers International, for “not using the correct United Nations terminology for Taiwan” (namely, Republic of China) on their websites. “If PRC is so sensitive about the issue of Taiwan, how come it has learnt to live with the erroneous listing of ROC as a permanent member of the UNSC for the last 48 years”?, asked one Western diplomat. 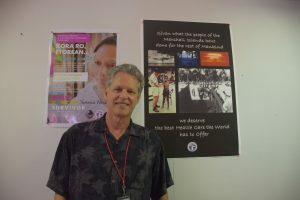 Ian Williams, a longstanding journalist who has covered the UN since the 1980s and is author of “UNtold: The Real Story of the United Nations in Peace and War,” sarcastically posed the question in Shakespearean terms: “What’s In a name?… that which we call ROC by any other name would smell as sweet”. It is a much more tedious process than that, he told IPS. “If Northern Ireland dropped out of the “United Kingdom of Great Britain and Northern Ireland” following Brexit, would London lose its veto in the UN Security Council, since that is what the relevant clause in the Charter calls it?”, asked Williams, a former President of the UN Correspondents’ Association (UNCA). Luckily for London, he pointed out, the UN has precedents galore. Any questioning of its status would embarrass Beijing, sitting in the seat reserved for the Republic of China, and Moscow, which says “nyet” on behalf of the USSR (deceased), said Williams. James Paul, former executive director of the New York-based Global Policy Forum (1993-2012), refers to the discrepancies in the Charter in his recently-released book on the UNSC. He says a number of successor states came into being, of which the Russian Federation was the largest. It was certainly not the major power that the USSR had been, having a far reduced population and economy. The answer was a “quick fix,” as the Russians officially took over the Soviet seat. “Crafty stage management had maintained a sense of enduring permanency,” says Paul. Asked for an official response, UN Deputy Spokesperson Farhan Haq told IPS that for China, the relevant resolution is the 1971 GA resolution, whereas the USSR’s responsibilities were taken over by the Russian Federation as its successor state. “You are aware that formal amendments to the Charter are a fairly extensive process entailing ratification of those amendments by two-thirds of the members, in accordance with articles 108 and 109 of the Charter,” he explained. Reaffirming Haq, Paul told IPS that according to Articles 108 and 109, it is difficult to amend the UN Charter. This is natural in some respects, since constitutions are meant to be stable and not forever changing. But the big problem of Charter change is not the super majority needed but the ability of the P5 to veto any change if it might erode their interests, he pointed out. “I am not familiar with the thinking at the time of the changes in the designations of China and Russia/USSR but I can imagine that the goal was to move as quickly, as unobtrusively and as risk-free as possible, into the new arrangement”, he said. The P5, said Paul, have always opposed Charter changes that would erode their privileges. The Brits and the French claim to support the addition of new permanent members but in fact they are opposed. 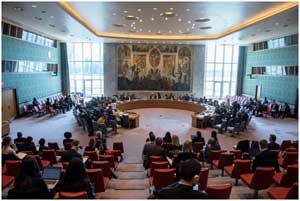 Any changes in the UNSC membership arrangements require a change in the Charter. As long as the membership is divided there will not be sufficient political pressure to force change through against the vetoes, he noted. “When Germany, Japan, India and the other aspirants give up their claims, new possibilities can finally emerge,” he predicted. Williams told IPS one of the strengths of the United Nations has always been that it does not stick to the letter its own Charter, which, for example, does not mention one of the organization’s busiest departments and functions – peacekeeping. “Rather it works pragmatically in the face of the difficulty of actually amending the Charter, which is not only tedious organizationally but also a diplomatic quicksand, mostly because of the delicate question of permanent membership and the veto— which can be exercised against any attempt to change the Charter”. Sometimes, he said, a discreet hush seems the appropriate response. Like the UN Military Staff Committee (MSC) representing the high commands of all permanent members, however named. The UN website claims that the “MSC remains active in the UN as a cadre of Military Advisors to their government’s diplomats (PRs).” It was met regularly since the foundation of the UN, but has never made a decision or proffered any recordable advice… but it is in the Charter and it would be dangerous to delete the relevant paragraph, said Williams. Similarly, when Palau, the last remaining Trusteeship territory became independent, it posed the question of what do with the Trusteeship Council mandated by the UN Charter – which even had its own elaborate meeting place. The French delegate suggested its abolition would raise other questions (which listeners understood to mean the entitlement of France and Britain to a permanent seat) and it was agreed simply to suspend the Trusteeship Council while keeping it nominally in existence. A year later, at the 50th Anniversary session in 1995, Poland, eager to ingratiate itself with Germany raised in the Assembly the question of the “former enemy states,” the Axis powers that, according to the Charter the P5 could beat up on with legal impunity. It is not so easy. Kofi Annan did not even try to get the “Responsibility to Protect” into the Charter. He cunningly got the General Assembly to reinterpret Chapter VII to include the concept. It was the diplomatic equivalent of changing the tablecloth without disturbing the setting, said Williams. It was a rare feat, and a quarter of a century after the General Assembly deplored the continuing calumny against the former axis powers, they still await the Charter Amendment, and one suspects that the “earliest appropriate session” will be when the Non-Aligned get their act together on Security Council reform and persuade the P5 to go along with it. Is Taiwan Still a Permanent Member of the Security Council – Despite its Ouster in 1971?